" Steven Johnson (standing next to array owner) is a man who greets you with a kind smile and a good, firm handshake. Steven drove out to our home to see the installation site and listen to our needs for a new solar system. We wanted to minimize our carbon footprint and produce enough electricity to meet our needs at peak times and bank the electricity we use for cloudy days. While sharing photographs and stories from other satisfied customers, Steven invited us to see another solar array that he had installed nearby. There we met Roger, who praised Southern Lights and the work that Steven had completed for him. The solar array was built to last and impressively mounted on a very sturdy rack system which we decided to go with. Steven is a thorough, organized, and detail-oriented man who really cares about his work. He makes sure everything meets or exceeds all expectations. Steven is a trained, certified and bonded electrician, in whom we have the utmost confidence. At each step, Steven walked us through the installation process while he installed the newest, state of the art solar panels with onboard inverters to maximize our electrical output. Our solar array installation consisted of 16 panels and was installed in only 2 days. (One day for the rack, and one day for the panels.) With his son Pat working with him, the installation went smoothly. 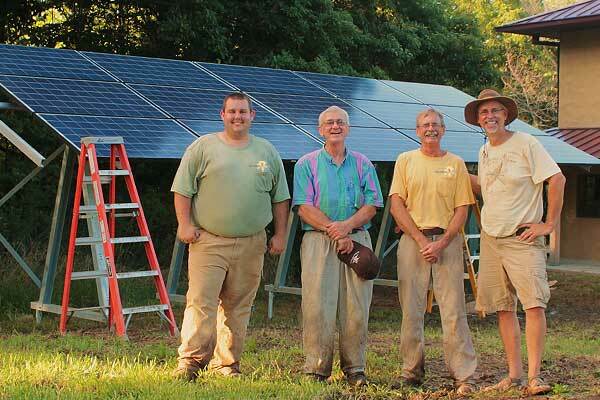 Thinking about installing solar panels and tapping into the natural power of the sun? We highly recommend calling Steven at Solar by Southern Lights. He is the man to get you connected to the power of the sun. We could not be happier with our new solar panels!" © 2018 Southern Lights, LLC.